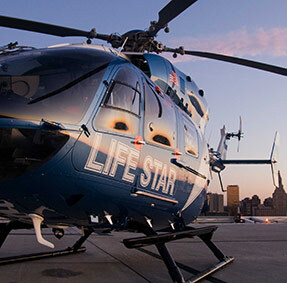 Patients come to us by all means of transportation, ranging from their own automobile or an ambulance to Hartford HealthCare's LIFE STAR helicopter. Hartford HealthCare's Emergency Care treats adult patients with conditions ranging from major trauma, heart attacks and stroke to more minor illness. Within Hartford HealthCare, we are accredited as a Level I Trauma Center, Stroke Center & Chest Pain Center. A trip to the Emergency Room can be confusing and even frightening – especially if it’s the first time. 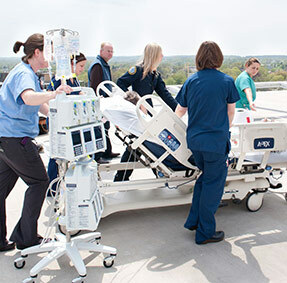 A critical care helicopter service that provides air transport for a variety of patients requiring emergency care. Tansfers of trauma patients and other individuals with emergency medical conditions 24 hours a day. 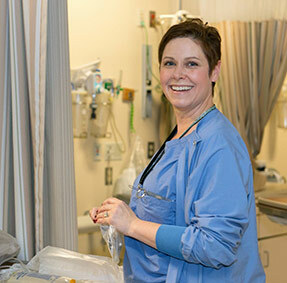 Hartford HealthCare emergency locations are fully staffed with physicians, physician assistants, nurse practitioners, as well as a staff of nurses and technicians specializing in emergency medicine, trauma, and critical care. A trip to the Emergency Room can be confusing and even frightening – especially if it’s the first time. Hartford HealthCare's Emergency Services is one of the best in New England, staffed with specially trained physicians, physician assistants, nurse practitioners, emergency nurses, assistants and technicians. Upon arrival, a triage nurse will talk to you about your condition and decide the level of care you will need. A collection of frequently asked questions regarding Emergency Services. What to do when an emergency occurs. We facilitate the transfer of trauma patients and other individuals with emergency medical conditions 24 hours a day. Non-emergency transfers are managed on a case-by-case basis. Accidents happen every day. An accident can be as simple as a fall that scrapes your elbow or sprains your ankle. Our first aid topics can help you deal with these common injuries.